Like the earlier seasons of “The Vampire Diaries,” we are given many flashback sequences to allow us to see the origins of these veteran vampires as they arrive in Lousiana and help in the building of the New Orleans’ French Quarter. The show follows the relationships and exploits of the Original vampire family, including the rational and responsible Elijah (Daniel Gillies), his sister, Rebekah (Claire Holt) and their half-brother, Klaus (Joseph Morgan). Whereas the vampire/werewolf hybrid Klaus was a villain on “The Vampire Diaries,” he takes on the misunderstood bad brother role in “The Originals,” not unlike the way that the character of Damon was treated on that other show. Although the occasional lovesick storyline understandably makes its way into the narrative, there is a more violent edge to “The Originals.” The story quickly becomes about a turf war between vampires, witches and werewolves. This leads to some chess-like battles of wit, but sometimes it also just comes down to brutal strength. Klaus becomes obsessed with regaining control of the French Quarter, which has been taken over by his former friend and protégé, Marcel (Charles Michael Davis), and this inevitably pulls his whole family into a scheme that guarantees conflict. Season one has twenty-two episodes, all of which are contained on five DVDs and four Blu-ray discs for this nine-disc dual-format edition. The set also comes with an Ultraviolet digital HD copy of the season. 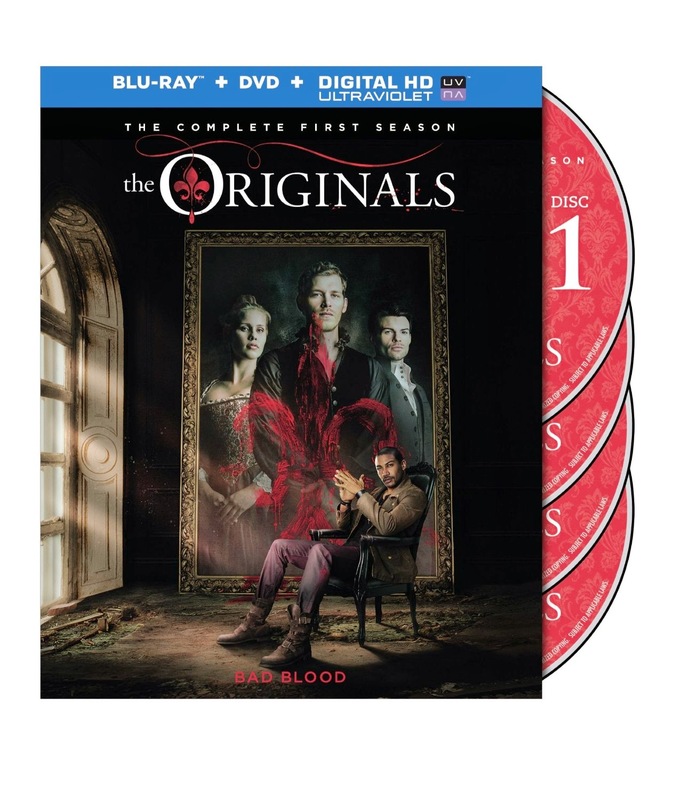 The special features on both formats include commentary with creator Julie Plec and director Chris Grismer, as well as unaired scenes and five new featurettes. These include footage from a panel at Comic-Con 2013 and another from PaleyFest 2014.